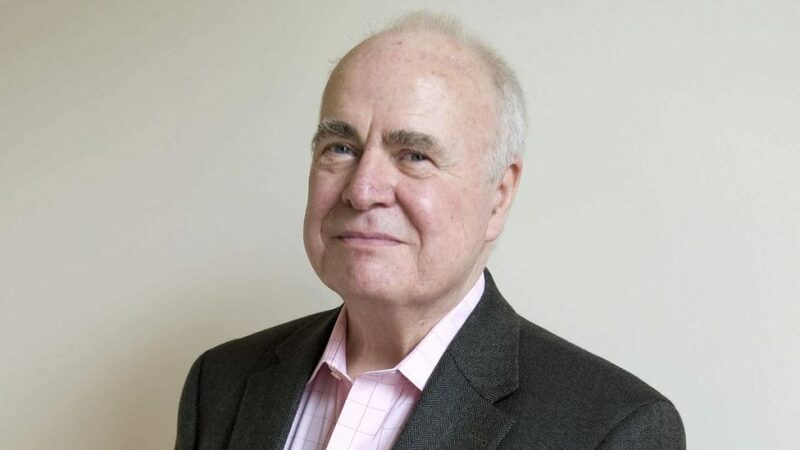 We at the FWA are sad to report the passing of Hugh McIlvanney, one of the greatest sportswriters of the past fifty years and a much-loved colleague. Hughie passed away on Thursday, aged 84, after a battle with cancer, but he left behind a legacy of prize-winning sportswriting and a reputation as one of the true greats. The majority of his career was spent writing for the Observer and Sunday Times before he retired three years ago, and he was the first journalist inducted into the National Football Museum's Hall of Fame two years ago. Below is a tribute from his friend and former colleague Pat Collins, himself a giant of sportswriting. "One winter evening in the eighties, a group of sports writers boarded the London-bound train at Manchester Piccadilly station. We started to speak of the match we had covered that afternoon, and of United’s decisive goal. Somebody praised Bryan Robson’s pass which had created the goal, and we all muttered our agreement. All except Hugh McIlvanney. “'It wasn’t Robson, it was Frank Stapleton’, he insisted. The ensuing argument lasted until Crewe, by which time Hugh conceded that he might be mistaken. He got up, swore loudly and yanked his typewriter from the overhead rack. “I’ll have to speak to the office’, he said. We told him it was the last train, that he’d be marooned until Sunday morning and that, anyway, nobody would notice the error. “But I would’, growled Hugh. We were still pleading with him through the carriage window when the train pulled away. "When his countless admirers speak of Hugh’s writing, they recall the rolling phrases, the astute insights, the dramatic sense of occasion. But those who worked with him — and especially the heroic subs who placed paragraph marks on his copy — will tell of the tireless perfectionist, the man whose Sunday would be spoiled by a misplaced comma or a wayward colon. "His passing, at 84, has provoked torrent of tributes; glowing and utterly merited. His influence on British sports writing is profound, and he has long since secured his place alongside Ian Wooldridge and Frank Keating in the trinity of our greatest sports writers. "Setting out on the Kilmarnock Standard, McIlvanney moved to The Scotsman, to The Observer from 1972 to 1993 — with a two - year spell at the Daily Express — before joining the Sunday Times until his retirement in 2016. The honours came pouring in: he was Sports Journalist of the Year on six occasions and he is the only sports writer to be named Journalist of the Year in the British Press Awards. ''But the honours only hint at the talent, far better to consider his sporting heroes. There were the towering football men from the West of Scotland: Jock Stein, Bill Shankly and - most notably - Sir Alex Ferguson. Hugh spent countless hours in their company, and he painted some imperishable pictures in his columns. But if he admired those fine managers, we knew that he actually loved George Best. It was Best whom he described as having “feet as sensitive as a pickpocket’s hands’. It was Best who gave him some of his most revealing interviews. And it was Best of whom he wrote: “He appeared to regard gravity as an impertinent con - trick, unworthy of being taken seriously, gracefully riding tackles that looked capable of derailing a locomotive’. "Sure, Hugh was anxious to celebrate the great sporting figures, yet he had an unforgiving eye for mere pretenders. Of Vinnie Jones, he wrote: “Plenty of hod carriers made it in football in the past, but they had to learn to play first’. While I remember wincing when I read his one - line demolition of the British heavyweight boxer Joe Bugner: “The physique of a Greek God, but with fewer moves’. "Boxing was his prime passion. He recognised its hazardous cruelty, but he saw courage and genuine nobility in the nature of so many fighters. Again, his heroes came from the top drawer: Sugar Ray Leonard, Lennox Lewis and - way above the rest - Muhammad Ali. Hugh enjoyed extraordinary access to Ali, and his interview on the banks of the Zaire River in the wake of the astonishing fight with George Foreman remains one of the most memorable pieces he ever wrote: “We should have known that Muhammad Ali would not settle for any old resurrection. His had to have an additional flourish. So, having rolled away the rock, he hit George Foreman on the head with it’. "His boxing writing made his reputation in America, and for a while he moved home to upstate New York to spread his talents more widely. But the pull of the British sporting scene proved too great. “I missed it for all kinds of reasons’, he said. “Especially Cheltenham’. He loved the races. He loved the air of rascality, the guile of the jockeys, the wisdom of the trainers, the sense that there was a killing to be made if only he could hold his nerve. He was, to put it kindly, an optimistic gambler, but he shrugged off his losses and cherished his occasional coups. "He also wrote this stunning intro one winter’s day at the races: “The tarpaulin they threw over the remains of Lanzarote on Thursday afternoon was a winding - sheet for our enjoyment of this year’s Cheltenham Festival’. 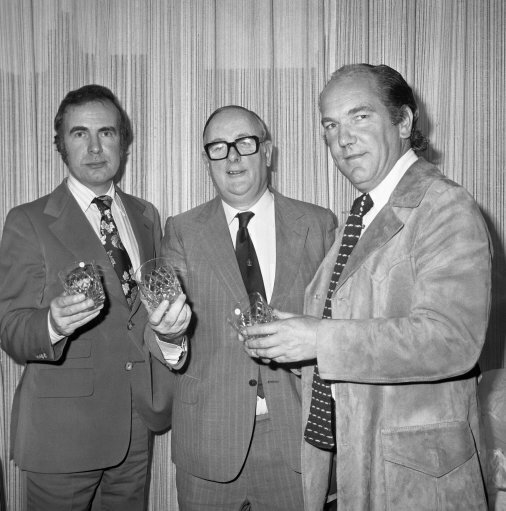 "His contribution to our rackety old trade was prodigious, but I shall remember Hugh McIlvanney for other reasons; for the late nights and the laughter, for the unpredictable explosions and the brooding remorse, for all the songs that were sung and all the tales that were told. "A final memory: some thirty - five years ago, we covered a world middleweight title fight at Caesar’s Palace, Las Vegas. The fight took place on a Friday evening, which allowed us to watch the event, speak to the “connections’, attend the Press Conference and return to our hotel rooms to work through the night before dictating our pieces to our Sunday papers. "I finished around three or four in the morning, after which I slept for a few hours before knocking at Hugh’s room at mid - day. The place was in some disarray, the floor strew with discarded sheets of copy paper, empty coffee cups and the remains of breakfast. The air was thick with the purple fug of cigars: “He would spend more on Cuban cigars than the rest of us would spend on our children for Christmas’, as David Walsh once wrote. Hugh sat amid this chaos with a sheaf of copy in one hand and a smouldering cigar in the other. He was staring, distrustfully, at his report. “I’m not sure this works’, he said. Boldly, I said: “Would you mind if I read it?’. He handed me the copy. It was a long piece and I took my time. As I had expected, the piece was brilliant. I handed it back. He lifted an eyebrow and then, almost as if he valued my opinion, he said. “Well’, what do you think?’. “Honestly?’, I said. “It’s rubbish. Total rubbish. I wouldn’t bother sending it if I were you’. He jumped to his feet, bellowed a stream of insults and hurled the copy at me as I dived through the door. "Then I heard him laugh as I walked back down the corridor. I remember his laughter. I think I always will." He was in the same league as Muhammad Ali was in boxing – the King! And he wasn’t a bad footballer, very combative!